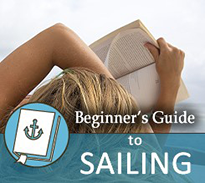 In this section we will try to take you by the hand and remind you about the basics of sailing our yachts. 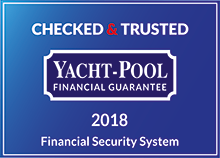 There will be at least one person aboard with verified sailing experience and some sort of sailing qualification otherwise you wouldn't be allowed near the boat in the first place. Help them out by having a read of this section and be of some use beyond mixing the gin and tonics! We begin with a section on setting the sails, move through the points of sail and manoeuvres you will likely do and then run down some of the more complex issues you will face, such as identifying potential collisions and avoiding them, some basic tips on navigation and then a brief look at night sailing and navigation. Have a careful read of this before you go, even if you have a fair bit of experience. Not everyone gets to go sailing more than a few times a year and hopefully this will spark a few brain cells and remind you of the complexities of sailing a yacht. If it was that easy to do everyone would do it - face it, you probably do it because it is a skill not everyone has at least at some level! Before we begin, remember not to push yourself too hard. The sea is a dangerous and unforgiving environment even on beautiful days with a great wind. Not everyone who pushes their limits comes back. Use your intelligence and common sense and you will go home having fun stories to tell, not tales of danger and derring do!